looking for hope in my eyes? Six months ago I returned home from work one evening to THE FENCE. A white wall of plastic so formidable and ugly that even the spanking new in ground pool it surrounded , was not enough to keep my kids from remarking, “eyesore!”. Where for seventeen years I looked out on grass and trees , and the occasional fox. For six months I have moaned, schemed to move and accepted nearly daily expressions of sympathy from my neighbors who walk by and wonder how I am handling it. THE FENCE is the talk of the town..tsk, tsk.. my neighbors cluck, such poor taste, what were they thinking? I welcomed all conversations related to my hatred of the fence and would rush to tell my husband of the angry mob consensus. Joe, who was trying to make the best of it, being the only one around here with any good financial sense, understood moving wasn’t an option. I made sure to start every morning with a disgusted comment, declaring that the fence was ruining my life, my stamina impressive. I was sure to place in the misery marathon around here. But, funny thing happened on the way to the finish line. Suddenly,weekends have found Joe and I hiking through the woods and climbing over rocks on the weekends, our two goofy Labs running ahead, incredulous of their new routine. 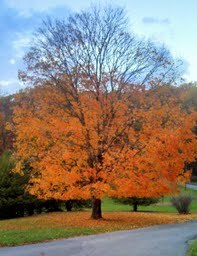 Taking trips to West Virginia and Upstate New York, and noting all the beauty along the way. Spiriting away to the grounds of an old convent, where the angels and animals and sunset dance together so beautifully that I can’t hold back the tears. 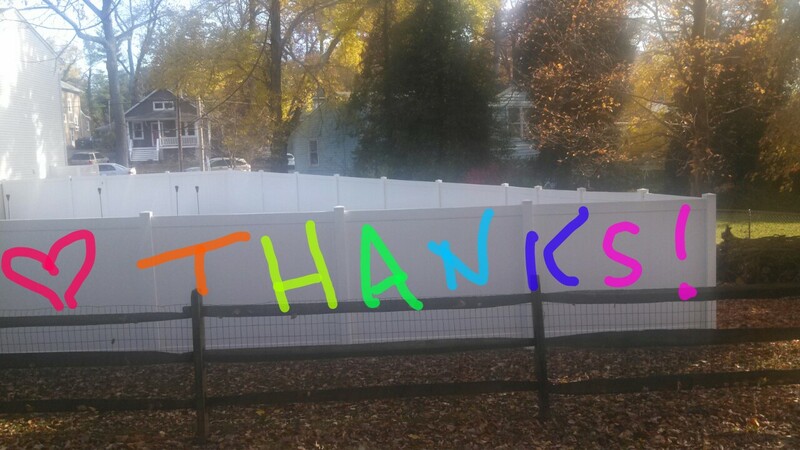 This morning, when I opened my back door and saw the fence, I said “thank you”, beautiful white wall, thanks for making me climb up and over. In our noisy, cluttered space. To a shelter I know. 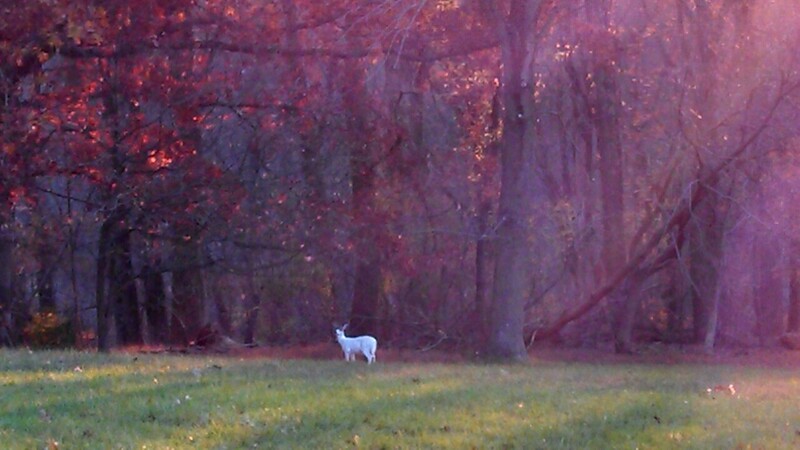 around a pure white doe. strip poker with my tree. by the cloistered nuns who dwell there.